Hello and welcome to the first stamp highlight for Mama Elephant's January Release. Today we're showcasing the adorable and much anticipated The Dog's Woof stamp set along with the coordinating Creative Cuts. To give these dogs a softer look, I stamped them with Momento Rich Cocoa Ink and colored them with Copics. I used the coordinating dies to cut them out. Then, I used various heart Creative Cuts from my Mama Elephant collection to die-cut trimmed acetate, making my own stencil. I used the stencil along with Distress Inks to create the heart background on Bristol cardstock. The "Sending All My Love" sentiment is from the Occasional Labels stamp set. To finish, I mounted the dogs and the sentiment with foam tape for dimension. Don't you just love these dogs? 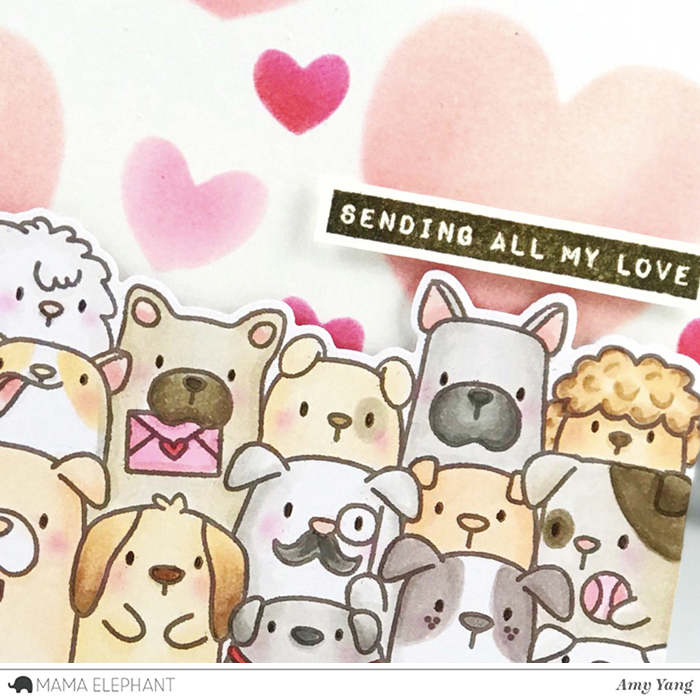 For more inspiration with The Dog's Woof stamp set head on over to the Mama Elephant blog. Love, love, love your card. The hearts background with the dogs is fabulous! Really loving this dog stamp and you've coloured them so beautifully, you background is beautiful in the soft pink effect. Hi Amy. 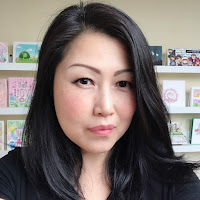 I love all your cards - you can tell they are made with love. 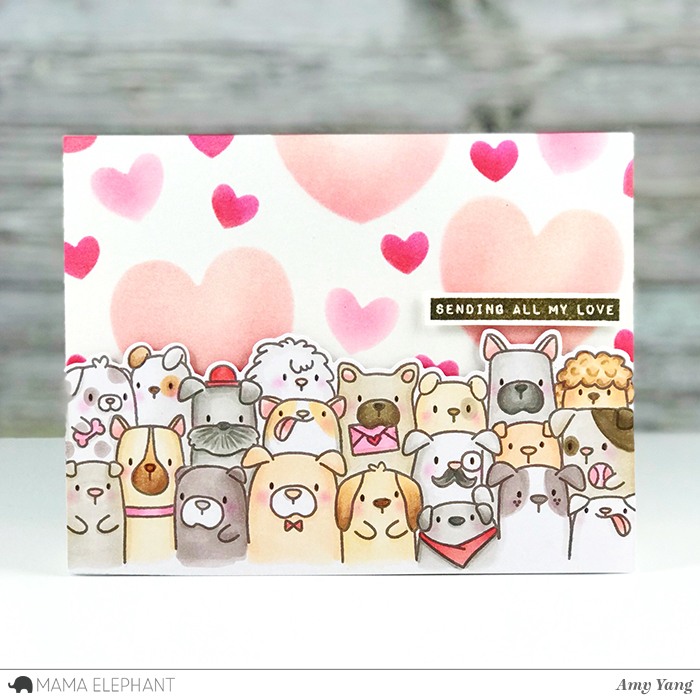 The new YAY card kit release is not one I would even think of purchasing UNTIL I saw all your inspiration cards and then it all clicked. LOVE IT. 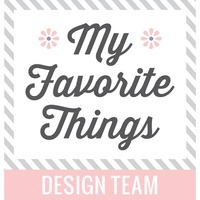 Thanks for sharing such diverse designs with us.